Professional learning through online communities of practice and social networks not only improves instructional practices but also cultivates teacher leadership, which is central to transformative change. High-quality professional learning is integral to the continuous improvement and innovation required for addressing today’s educational challenges. 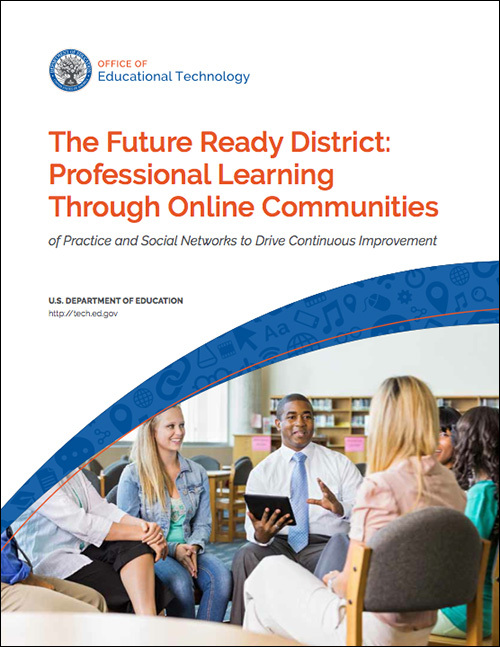 When integrated into a comprehensive and evidence-based system that is aligned with district goals and processes, online communities of practice and social networks offer a powerful opportunity to strengthen professional learning. This brief summarizes research on the role of online communities of practice and social networks in supporting the professional performance of educators. Provides practical tools and examples for strengthening standards-based professional learning. Provides guidance on how to create an online community of practice of value. Initiatives to empower educators to connect and lead through online communities of practice.